Translators Without Borders is an independent, non-profit association that since 1993 has been providing free, professional translations to humanitarian NGOs, enabling them to spend the saved funds in their field operations. 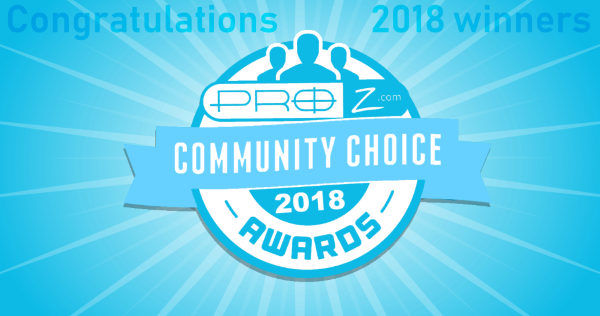 ProZ.com has been supporting Translators Without Borders both in the screening of their volunteer translators via the ProZ.com screening center and in the posting of translation jobs, but even more important is the contribution of ProZ.com’s community of translators. Since there is no time for reviewing and no room for errors in the handling of emergencies, Translators Without Borders recruits only experienced and solid professionals able to do a good job each time. Approved applicants are asked to submit one or more test translations within the system. Since the screening requirements for the Certified PRO Network are similar, members of the CPN are admitted directly as Translators Without Borders translators. The level of activity has been increasing steadily. Some 40,000 words were posted in January. This number rose to 88,000 words during February and over 235,000 words were posted and accepted by volunteers during the first 24 days of March. In the second half of February, the NGO GoodPlanet asked Translators Without Borders for help to localize their new website into as many languages as possible beyond English, French and Spanish (which were already available). Italian: localization was performed by five colleagues: Deborah Olmi, Vera Panno, Elena Favero, Sara Maghini and one other translator who asked to remain anonymous. Slovak: in an impressive performance, Jana Novomeska worked alone and managed to deliver slightly after Italian, the fastest team. Romanian: localized by a powerful duo, Claudia Coja and Mihaela Petrican. Polish: many members of the Certified PRO Network in this pair responded to the call, and this allowed the participation of a great team formed by Anna Nurkowska, Joanna Wachowiak-Finlaison, Monika Rozwarzewska, Alicja Weikop, Bartosz Rogowski and Kornelia Longoria. Hungarian: another strong duo was at play here, Hajnalka Kis and ildiko. Turkish: another language where the community answered generously to the invitation and a strong team was assembled, consisting of Kenan Atalay, Karahan Şişman, Gülay Baran, Emel Kurt and Binnur Tuncel van Pomeren. Persian (Farsi): the localization in this language was performed by Sabah Mofidi, Amanollah Zawari, Reza Ebrahimi and Hossein Emami. Greek: about half of the localization was performed by Aspasia Merkouri, and the rest was done by Julie Fragkaki, Anastasia Giagopoulou, Ifigenia Vrettopoulou, Evdoxia Renta and Eleni Vassiliadou. Another four languages are close to completion: Arabic, Russian, German and Swedish. Other groups making progress include Portuguese, Dutch, Indonesian and Chinese, as well as Japanese, Serbian, Macedonian, Hebrew, Croatian, Slovenian, Malayalam, Hindi, Tamil and Latvian, where in most cases a single volunteer is working per language. Today the localizations into Russian and German were completed and delivered to GoodPlanet, taking the total of completed languages to 10. * Russian: Natalia Mackevich, Mykhailo Voloshko, Yana Deni, Anna Konar, Valery Kaminski and a translator who asked to remain anonymous. * German: Sabine Winter who, like Jana Novomeska in Slovak, produced the localization of the whole website into her native language. Today the localizations into Swedish was completed and delivered to GoodPlanet, taking the total of completed languages to 11 and the total of translated words beyond 100K. Today the localizations into Arabic and Simplified Chinese were completed and delivered to GoodPlanet, taking the total of completed languages to 13. * Arabic: Said Abouharia, Mohamed Gaafar and Heba Shawky. * Chinese: David Zhang , Yun Lin and Susan Wang. “I am a very experienced translator. In December, due to the loss of a major client, I decided to go Pro in this website. I apply to jobs every single day. At first, I cut my tariff in 25%, now it’s less than half, and yet, nothing. …Anyone out there is getting jobs through this website that are [sic] fairly paid? Or are you a member for different reason, for the sense of community, etc? As a translator, I have replied to countless jobs, on ProZ.com and elsewhere (well, I suppose I could count them, as I keep a file of them. But I digress). Statistically I only get a positive reply maybe one out of forty times. But recently, I had an experience “on the other side” that will influence my choices in the future. You see, recently, I was offered a big job by a direct client, who probably sent the tender notice out to a few agencies as well as to me, as I had called on them recently proposing that they compare my services to their current agency. I am not an agency, but a freelancer; but since I was entering into competition with at least one agency, I would have to find two other reliable translators to adapt the text into German and Dutch while I translated it into English. So, putting myself in the position of a project manager, I posted the offer on ProZ.com. By looking at recruitment from the PM’s standpoint, not only did I get a slew of replies; I also learned some valuable lessons that I will be putting to use the next time I reply to a job offer. First of all, I wasn’t looking for the lowest rates; the most important thing for me was to find someone I could count on doing the job properly and on time. (I, too, have had people insist that I lower my rates, but they can insist all they like; I’m the boss of me.) All of the translators who replied to my offer were within the price range that I had cited, and many were below. I did not reply to the lower bidders, but then I did not really take the price range into consideration. In my offer I had asked my potential partners to align with my middle-of-the-range prices, and the crushing majority did just that (by the way, when I say middle-of-the-range, I am talking about rates that allow one to live an ordinary life in a developed country). However, the list of replies was long, so I had to narrow down the choices. Here is what I did. ProZ.com offers its job posters the option of gathering replies through an on-line application form. I opted for this choice, and was glad I did. Instead of having to sort through my e-mails for replies, the applications were sorted for me. As their messages came pouring in, those who had followed the instructions were to be found through the link to my offer, neatly stacked up in chronological order and in the category of the language they were offering. Those who had not followed the instructions, who had simply contacted me by e-mail, were not on the list. It would have taken an extra effort on my part to include them, printing out various messages to compare them with those on my handy list. To be perfectly honest, I didn’t make that effort. Now, obviously, not all job posters use this system; as freelancers we are often asked to reply by e-mail or through the on-line forms of various agencies. The key here is to reply using the method requested by the client, which might simply save you from not being included on the list of people considered for the job. When I followed the link to see the replies, I noticed that the page began with a succinct list of the applicants and their most basic information, such as their avatar and a link to their profile, along with the subject line of their message. Below that, there is a longer version of the list, including the text of their messages and their attachments in the same order. This explains why, when you are writing your message subject to apply for a job on ProZ.com, there is a little note alongside the form to help remind you to write something memorable. I hadn’t realized until that day that the subject line is also the heading of each applicant’s place on the shorter list. What you decide to write in that space really can help you stand out. (I’m the first to admit having produced such boring headings like “FR >EN translations”. I should have realized, and expressed in no uncertain terms, that I’m much more interesting than that!) To begin studying the some fifty applications that I received, I printed out the short (subject-line) list, ticking off people as I went along. So it is important to make your subject line specific and eye-catching, summing up in a few words why you are better than the competition, for this job (I’ll get back to that in a moment). I had posted the offer in French. Now it may sound rash, but I began by throwing out any replies that were not in French. The lesson is: always reply in the language that the job is posted in. At least half of my applicants replied to me in English, but I wanted to get an idea of their level of French by reading their replies. In my case, I didn’t particularly care to know their level of English, as that’s my part of the job; and I trust that they are good in their respective native languages. Also, I had so many worthy replies in French that I didn’t bother going out of my way to request a French version of the application even from the English-speaking people who sounded quite competent. After eliminating those who were speaking to me in languages other than French, I narrowed it down to those who had sent a well-written reply, and I must say that a few of them had me balking. You needn’t translate into a language other than your native, but if you are offering language services, you should at least be able to write a decent note in your source language. It’s also worth taking a bit of extra time to polish your message and subject line, running them through spellcheck and proofreading them (and if you’re really bad in your source language, may I somewhat cheekily suggest that you go looking for a job elsewhere). Note that the order of the replies did not really influence me in my choice; this is why I talk about taking a moment to verify your words. After all, the message you send out is the first (and might be the last) sample of your writing that the contractor will have to judge you by. Anyone who sent me a sloppy message (with typos or weirdly cobbled phrasing) was out. Again, I was spoiled for choice, and didn’t have to settle for slackness. A few of the applicants piqued my interest because in their few short, well-turned sentences, I could detect that they had style. As writers, we must be aware of the powerful choices that we make when using words, although we mustn’t allow ourselves to become overwhelmed with the possibilities. My suggestion would be to tend toward subtle originality. The key word here is subtle: as much as it is important to stand out, don’t go so far as to make yourself ridiculous or even too casual. The “I’m-a-riot-to-work-with” approach might get you attention, but it doesn’t go far in reassuring your client that you are reliable. Likewise, in French we have a formal and informal form of address, and I didn’t much appreciate being addressed in the informal way; it just didn’t seem businesslike. The same goes for those who used smileys; for me, smileys are reserved for friendly exchanges, and not when you are looking to impress. You shouldn’t need them to express your politeness; courtesy and respect for your client should shine through in every aspect of your text. After these qualities, personalization proved to be a big factor in my decision-making. I was just naturally attracted to the people who had personalized their note. Those who had taken the time to look at my name (and spell it correctly) got points in my book. These were generally the people who understood what I was asking for, and who adapted their message in kind, instead of just copy-pasting a generic “cover letter” blurb (and again, I’ve done this plenty of times). The smart ones listed any past experience specifically relevant to the job. Again, my priority was to find someone dependable, and it’s just safer to go with someone who has had similar types of experience. I can already hear some of you wondering where you can possibly begin when you’re new to the craft. In a word, the answer is: use your imagination (and read up on ProZ.com forums where there are dozens of ideas for plumping up your experience, such as pro bono work). You must have some kind of professional experience, even if it was prior to translation, and you can expand on that – without exaggerating your qualifications – to make it clear to your potential client that the subject interests you in some way. Be specific. Likewise, a great many people who replied to me cited experience that had nothing to do with the job I was offering. I did not penalize them for this purposely, but it did leave me feeling a bit chilly toward them. I suppose I got the impression that not only they didn’t have any relevant experience, but that their experience was limited in general, which may or may not be the case. Anyway, the subject of the job you are applying for is the only kind of experience that the client is looking for, so talk about your experiences in that matter, and let the rest of your impressive feats be fascinating surprises for the client perusing your CV. Most of my better applicants thought to attach a CV, although I hadn’t mentioned it, and, although I didn’t really plan it in advance, I printed out the CVs of my ever-narrowing selection of translators to make my final choice. I didn’t look at the CVs too carefully, but again, I made sure that there was something there that reflected the specialization I was looking for. It might be taking it too far to suggest that you should personalize your CV to every job offer, but it might be worth it to create several CVs, keeping the main points the same while providing more detailed information on the various main specialty fields that you develop for each corresponding CV. This will allow you to choose the CV that is the most appropriate for each job you reply to. The language of your CV, of course, should be the same as for your message. In the experience that I am recounting, the CVs made for a handy one-page printout upon which I could make notes as I perused profiles and websites (yes, one page is enough to get an idea of your professional history; any more means your client will have to rummage through his or her drawer looking for a stapler, possibly discovering that he or she is out of staples, and putting him or her in a foul mood). By the way, I have also helped recruit team members in my past life as a tourist board director, and the one-page CV seems a universally good idea. Often, when scanning documents to be sent to other decision-makers, HR people will only bother to scan the first page anyway. So shrink it down, folks. Many of my applicants – and this was especially penalizing for those who didn’t think to include a CV – forgot to sign their messages with their contact information. Occasionally I found myself having to click several times to get that information. So put your contact information all over the place, so that the impatient person looking for it will find it and won’t skip over you to the next person who thought to include theirs. To contact the translators that I chose, I called them. Now, it’s not very kind of me, but I admit that I hung up when I got an answering machine. In spite of my ruthless eliminating, I still had a lot of competent translators on my list, and I didn’t want to leave a message with one, only to call another and perhaps give the second one a false hope, only to have the first one call me back… You get the picture. Impatience strikes again. I’m not proud of it, but I’m telling you this because I’m sure that the same thing happens to agencies and other clients. The way it turned out, I had to call several people for the Dutch translation, and I came to the bottom of my narrowed-down pile of CVs; I therefore backtracked and printed out the contact pages of websites advertised on various offers, which proved almost as handy as a CV. It doesn’t hurt to have a website. Again, make sure that your contact information is visible on every page. So after this experience, as I return to the land of those selling their services, I am sure that from now on I will reply differently to jobs. It’s been an awakening, because when I’m on our side of the line, I am not a lazy, hard-hearted person. However, as soon as I found myself in the position of power, I was struck with a case of the I-can’t-be-bothereds. Your client is probably a good person, but he or she might also come down with that syndrome when reading applications. So make it easy for that person to care about you. Follow my mantra: I will only reply to offers where I have some kind of relative experience, I will personalize my reply and cite that experience, I will include my contact information and a CV to make it easier for the client to reach me. And I will keep trying, every day that I don’t have work to do! You see, now, there’s no need to lower your rates! Has anyone had similar experiences? Does the way you reply to jobs differ from what you would expect if you were seeking translators? Receive notification of new posts on the Translator T.O. Subscribe by entering your email address on the right side of this page. Early this week an ongoing scam using the impersonation of real translators and the emulation of their emails as a point of contact was reported. This scam appears to take the form of an email “sent” from the real translator to other translators, using the real translator’s name and possibly data to lend credit to the sender, such as links to the translator’s website, etc. The emails appear to the recipient to have been sent from the real translator, with the actual sender’s address (the scammer’s address) “masked” behind this in order to receive any replies. Hope you get this on time, Am sorry I didn’t inform you about my trip to Spain for a program,I’m presently in Madrid and am having some difficulties here because i misplaced my wallet on my way to the hotel where my money and other valuable things were kept.I want you to assist me with a loan of (2,600 Euro = 3,300 Dollars) to sort-out my hotel bills and to get myself back home. The message itself is classically scam; it is the fact that it appears to be from a fellow translator, perhaps even someone you know or have had contact with before, which can disarm the unsuspecting. If you receive a message similar to the one above, or any email that appears out of the ordinary, from an apparent colleague, please proceed with care. * Use a strong password for your account (consider a mixture of letters (upper and lower-case) and numbers or special characters which is longer than 8 characters. * Do not use the same password for all of your online accounts. * Try to avoid sharing your email address on the Internet (the profile email feature is designed to protect against this and avoid the necessity of publishing your address publicly in your profile, for example). * Use and keep your anti-virus software up to date. * Make sure your email program or provider has a spam filter, and use it, flagging emails which are spam that are not caught automatically by the filter. * Never give out your password. Translation came in 4th in a list of top sectors for future jobs in the U.S. Translation was also listed among the top ten for best career in 2011 according to Bloomberg Businessweek. If anyone has possible projections or data for other regions, please share! Kirti Vashee posted an interesting analysis and explanation of post-editing. Looking forward to part 2! Check out this very interesting video on infants’ language acquisition on TED. Catherine Jan posted an English translation of Céline’s informative and funny Vivre avec un traducteur, mode d’emploi, titled The freelance translator at home: instructions for use. The current quick poll asks, “When was the last time you raised your rates?” Vote, see the results so far and participate in the discussion here. What was the biggest translation news story or most interesting piece of information in translation in February for you? For those not already familiar with it, Translators Without Borders is an independent non-profit association established in 1993, dedicated to helping NGOs extend their humanitarian work by providing free, professional translations. The funds saved through the use of volunteer translations can then be used by the NGOs in the field, enabling them to extend the scope and reach of their humanitarian work. Some of the supported NGOs include Médecins Sans Frontières, Zafèn, Médecins du Monde, Acting for Life, Aide et Action, the Association ASMAE, ATD Fourth World, ATD Fourth World and GoodPlanet. The core of Translators Without Borders are the about 300 volunteer translators who donate their time, efforts and knowledge to help make the world a better place, together with doctors, nurses and other volunteers working in NGO and humanitarian associations. Since translations related to humanitarian emergencies leave no time for review (and even less room for error), Translators Without Borders looks exclusively for experienced and solid translators able to do produce strong, professional translations. Translators willing to volunteer with Translators Without Borders can complete an application and if the application is approved they are required to perform at least a translation test as part of the screening process. ProZ.com has been supporting Translators Without Borders both in the screening of their volunteer translators via the ProZ.com screening center and in the posting of translation jobs. The current Translators Without Borders jobs interface is extremely efficient. When a job is posted, the system will identify the pool of translators who are approved for the assignment (approved into the system and with the proper language pair and, eventually, field of expertise). This pool will then be sorted. In the case of Translators Without Borders this sorting is random in nature, because the idea is to balance the load among the volunteers, but in a commercial application other criteria would be followed, according to the preferences of the company acting as platform manager. The system will then proceed to notify the translators in batches separated by fixed delays. In the case of Translators Without Borders, these are batches of 5 translators each, and there is a 15 minute delay between a batch of notifications and the next but both of these numbers can be controlled. On February 17th, Translators Without Borders was contacted by the NGO GoodPlanet, who requested help in translating their new website into as many languages as possible beyond English, French and Spanish (which were already available). Since the languages where Translators Without Borders is stronger were not required, a decision was made to contact members of ProZ.com’s Certified PRO Network and to ask them for help, offering to add any volunteer directly to the list of approved Translators Without Borders translators (the Certified PRO Network has a screening process similar to that used by Translators Without Borders). The results were amazing; 38 translators volunteered and the GoodPlanet website is currently being localized into the following 15 languages: Italian, Portuguese, Arabic, German, Dutch, Romanian, Russian, Indonesian, Polish, Swedish, Turkish, Hungarian, Greek, Slovak and Japanese. A new site area was started this week, to allow translators to share and discuss short translation texts. The idea is to share translations to get opinions and feedback from colleagues, and of course to have fun. This feature is open to ProZ.com members. To see more about how it works, check out the scope and submission guidelines.